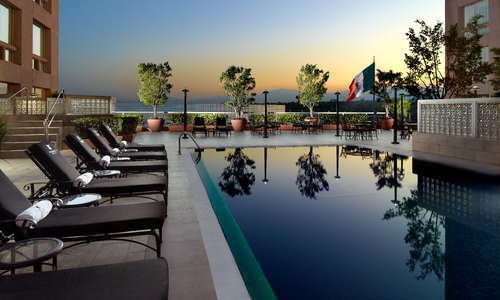 In keeping with its genteel neighborhood, this high-rise hotel has personalized service and small, clubby public areas; nothing overwhelms here. 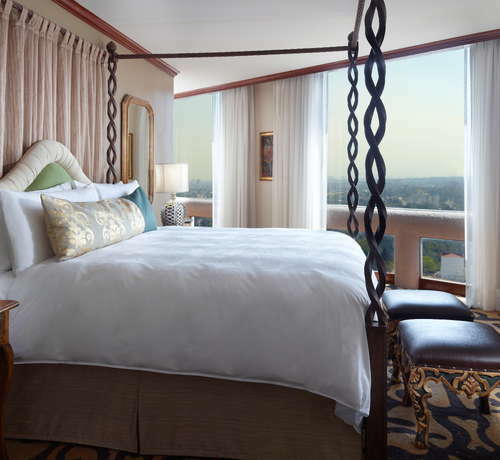 Newly renovated rooms feature marble bathrooms, floor-to-ceiling windows, and down comforters. The hotel has a well-equipped 24-hour business center and 24-hour room service, plus a health club that offers a gym, sauna, steam room, outdoor heated pool, and assorted beauty treatments. 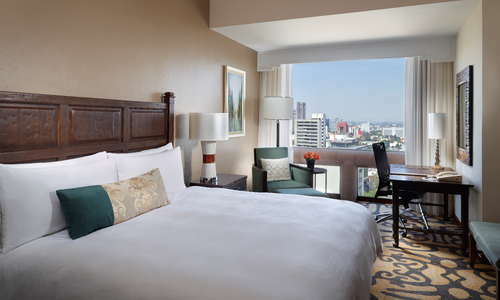 Executive-level rooms offer lounge access with complimentary breakfast, desserts, and some drinks. Modern and nondescript, but for carpet whose ornate pattern evokes the ancient glyphs from the nearby Anthropology Museum. 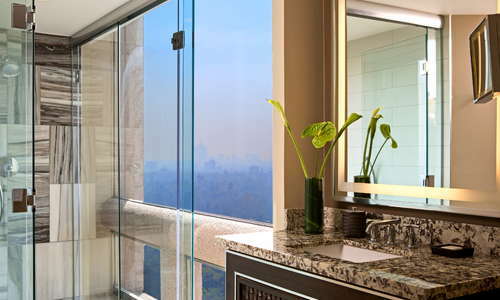 All feature views of some sort from floor-to-ceiling windows. Beds are plush and overstuffed. 49-inch TVs. 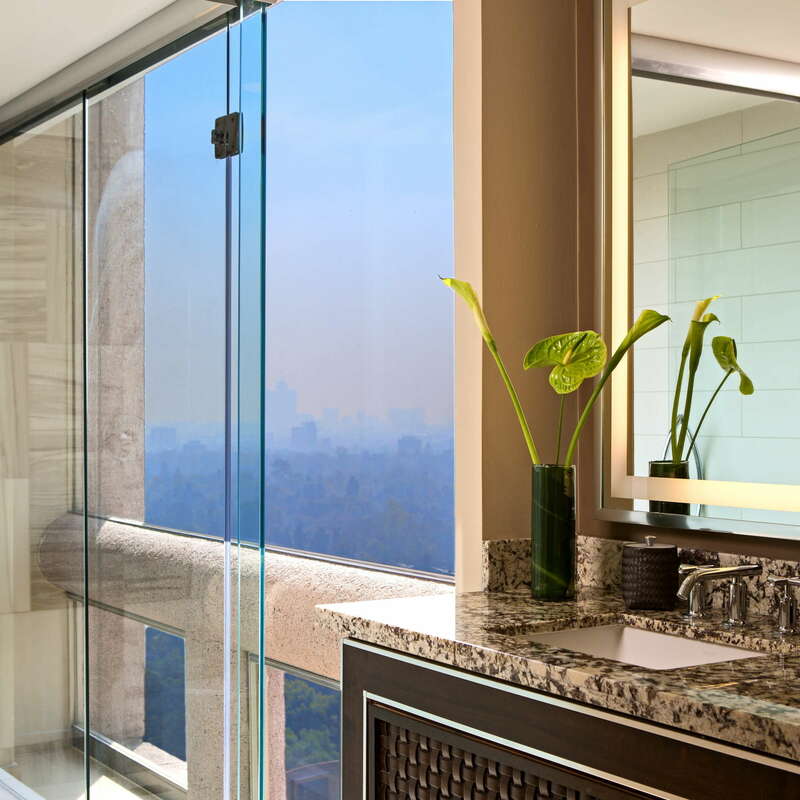 Large marble bathrooms, but no tub. Swank lobby with ample armchair seating and a Starbucks. Outdoor pool large enough to swim laps, with adjoining whirlpool. None, but there is a hair salon, pool, steam, and sauna. Large and spotlessly clean, with up-to-date equipment. There is also steam and sauna. YOU SHOULD KNOW While it is a more extensive fitness center than most, no fitness classes or personal training are available. 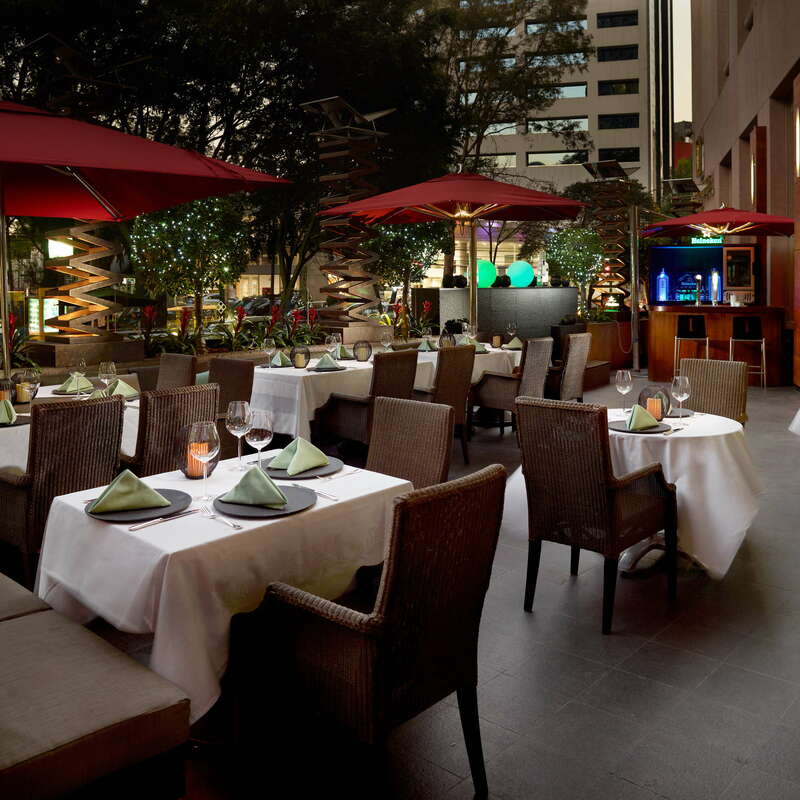 Xanat Bistro and Terrace serves better-than-expected Mexican dishes, with some Oaxacan specialties; try to get a terrace seat with a view. With sofas and wingback chairs, the Lobby Bar is a cozy place for a drink. It gets populated with well-heeled local and visiting businessmen starting around 6pm. 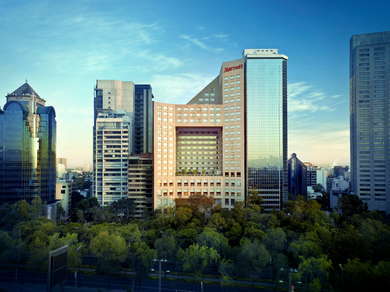 The Polanco neighborhood's shopping and restaurants are all within walking distance. Rush-hour traffic in and out of Polanco can be dense, but the Auditorio subway stop is a 6-minute walk. Top-notch Mexican can be found at Rosa Negra (8-minute walk), but also dishes influenced by Argentina, Peru, Brazil, and Colombia. 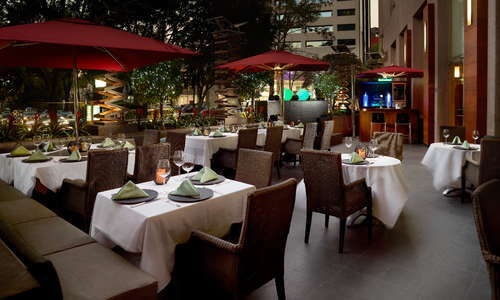 Astrid & Gastón (10 minute walk) is a branch of the legendary Peruvian fine-dining restaurant. La Número 20 (1-minute walk) is an upscale cantina with better food and cocktails than your usual neighborhood cantina. Limantour (7-minute walk) is the second branch of the bar that kicked off a creative cocktail craze in the city. 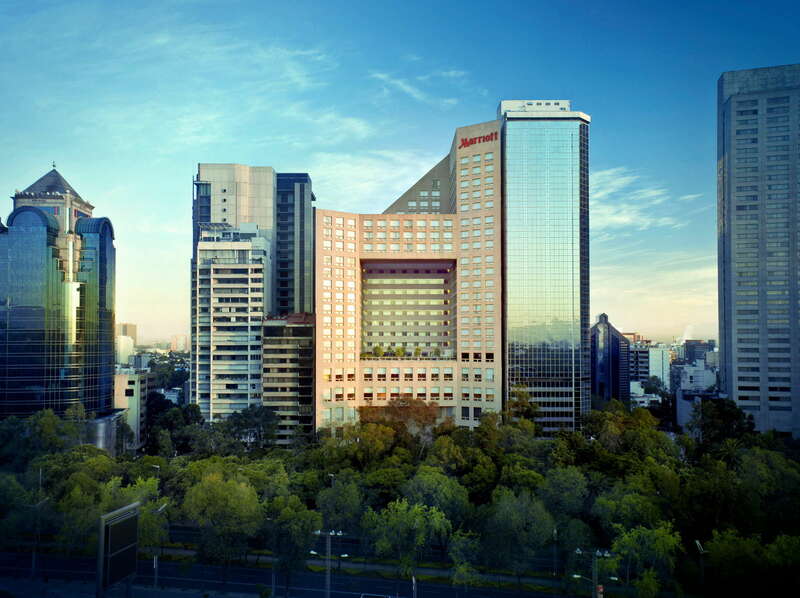 A good choice for the business traveler, with easy access to all the sights in Chapultepec Park.